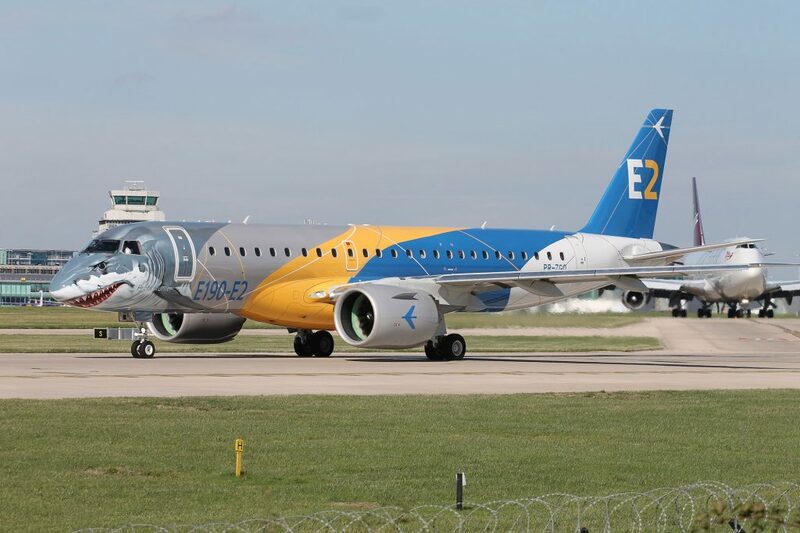 Embraer is currently undertaking a European tour of its brand new E190-E2 jet, demonstrating it to customers and potential customers. 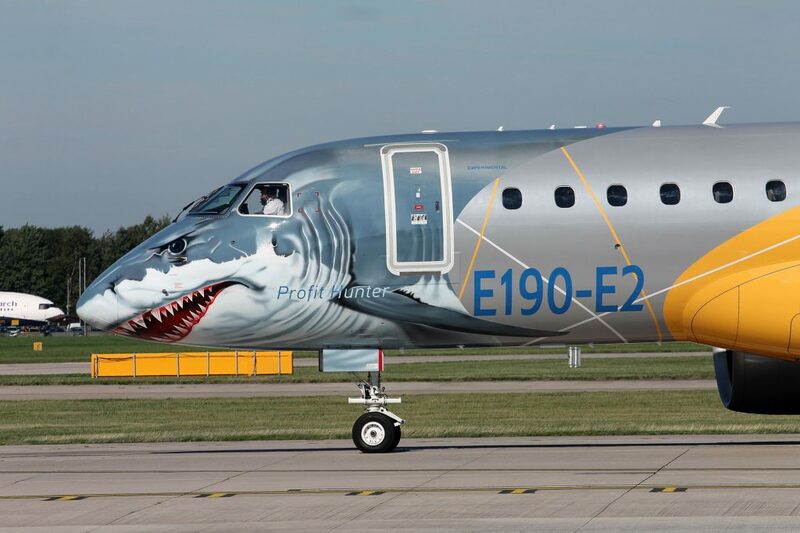 This particular aircraft, PR-ZGQ, features the striking shark nose scheme. 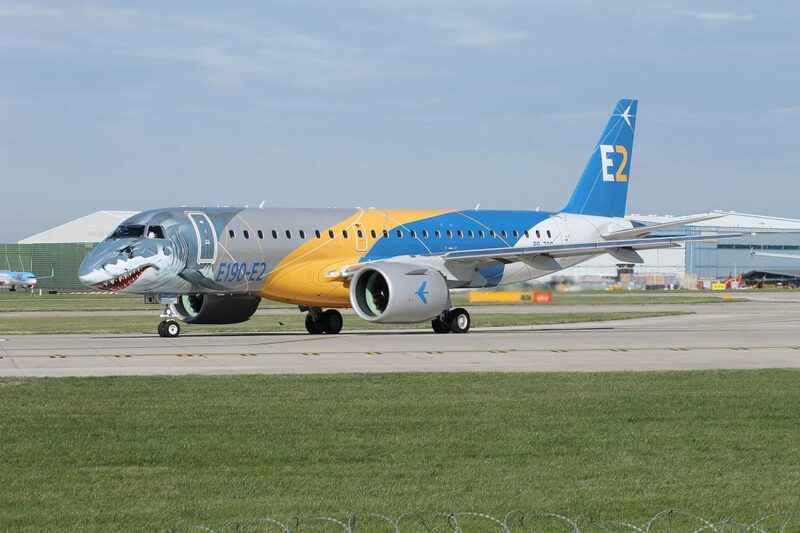 All of their E2 prototype aircraft have different animals on their nose. 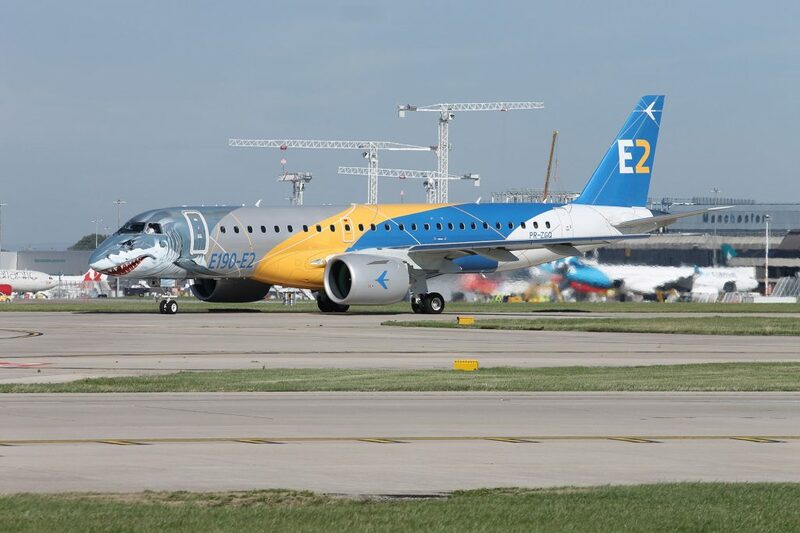 Currently in operation with Widerøe, the E190-E2 has orders from a number of leasing companies, and carriers like Tianjin Airlines. Here’s a video from The Aviators YouTube channel. You might spot me among the crowd! 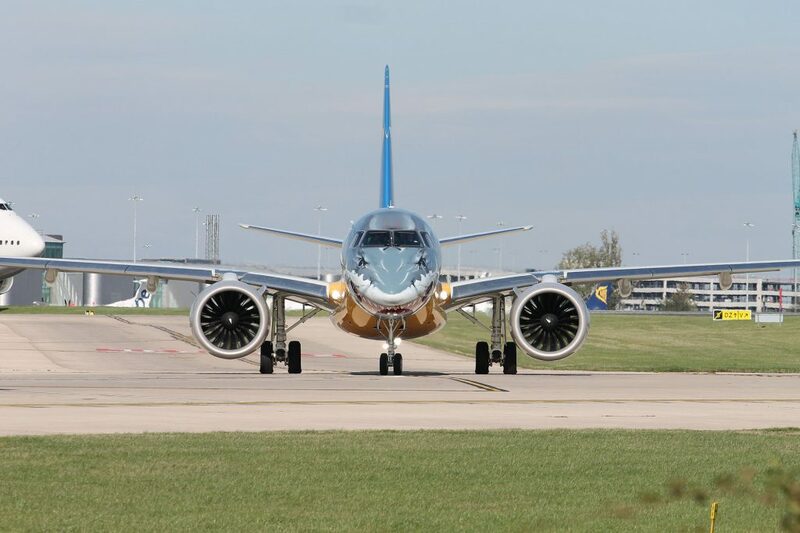 Next story Where Will Air New Zealand’s A321neo Fly?